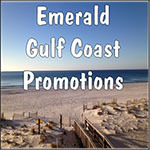 Advertising for the Pensacola & , Gulf Coast areas! is the westernmost coastal community in the Florida Panhandle and Pensacola is the county seat of Escambia County, Florida, United States. As of the 2010 census, the city had a total population of 51,923. Pensacola is the principal city of the Pensacola-Ferry Pass-Brent Metropolitan Statistical Area, an area with about 455,102 residents in 2009. Pensacola was founded in 1559 by a Spanish explorer named Tristán de Luna y Arellano. It was officially America's first settlement. After about 116 years of Spanish rule, the French took control over Pensacola from 1719 to 1722. The colony was then passed to the British who seized control of Pensacola temporarily through the Peace of Paris. Pensacola was also named the capital of the new British Colony. During the Civil War, Pensacola was a part of the Confederacy. The United States later regained control, and Pensacola was once again a part of the union on May 1862.